I am damn delighted to blog about my first multi-day motorcycle trip which I had undertaken back in August 2011, covering just 768 kilometers in 5 days, on a 125 cc engine. 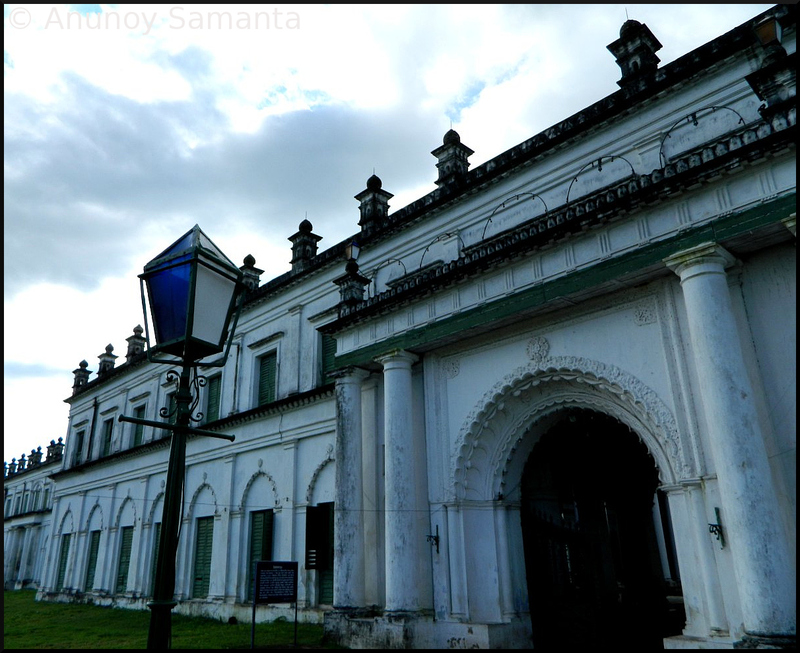 The decision of exploring Murshidabad and Malda did not overwhelm me merely because of the historical aura associated with those places. 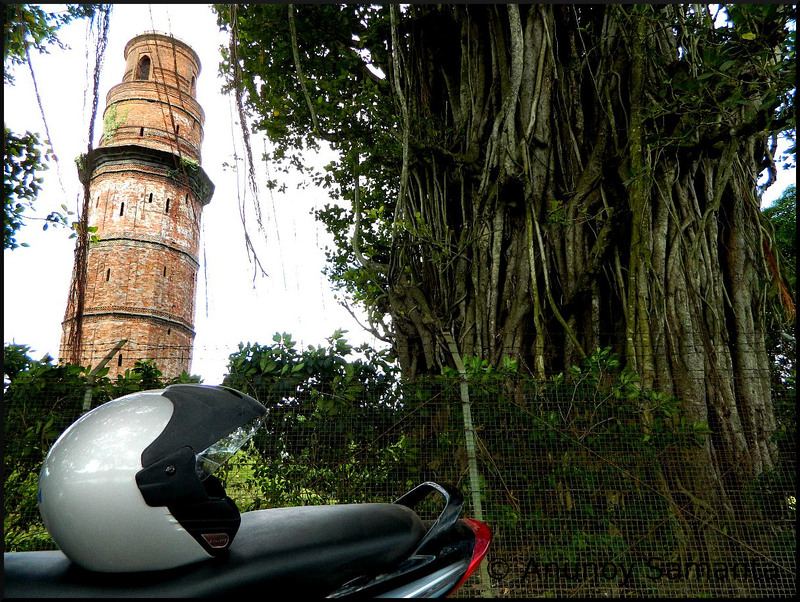 A couple of months prior to this trip I had made a day-ride to the temple town of Bishnupur. Soon after that I had been crushed like a sugarcane for the following months. My traveling tongue was hanging out like a summer struck stray and soul started behaving like an unfaithful lady, before finally I got a break. Men can act doggy but how could he live soulless? This time I didn’t have much days in hand and 4-5 days were all I could fancy for. Being an addict of hill stations I couldn’t think beyond availing the toy-train ride (Darjeeling Himalayan Railway) to spend my off-days in Darjeeling. But, man proposes, God disposes... I came to know that the toy-train service from New Jalpaiguri station to Darjeeling had been suspended indefinitely since last year due to a wicked landslide! The alternate idea was making a motorbike trip to Ayoddhya Hills. But after some discussion with few prudent heads, Ayoddhya Hills turned out to be quite an unsafe place due to unpredictable Maoist activities. By then I was determined to make this trip... the destination could be anywhere but it had to be on two wheels. A nostalgic breeze came to neutralize my dilemma- I was born in Malda and spent first two years of my life in Murshidabad... Oh why not Murshibad and Malda then? It was no stupid nostalgia but I was ready with my itinerary rationale. It can be real fun riding to a place lying on the bank of Bhagirathi River, showcasing the remnants of royal architectures, free from glossy city life and comprising the simplicity in its air and population. 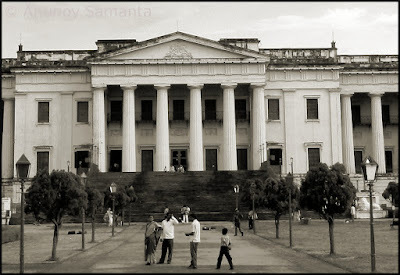 That's what I justified myself in favor of Murshidabad. Similarly, a little bit research on Malda unfolded places of great historical significance like Gour and Pandua! It was first time for my bike to enjoy a boat ride! 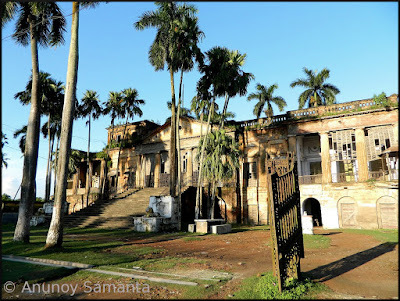 Day 1- Bardhaman to Behrampur. Local sightseeing and Overnight stay. 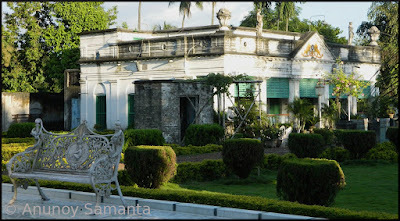 Day 2- Exploring nearby places of interest (at Lalbagh, Azimganj, Baranagar, Jiaganj) and overnight stay at Behrampur. 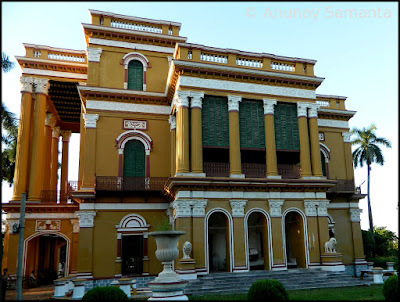 Day 3- Behrampur to Malda. Exploring places of tourist interest at Pandua. Overnight stay at Malda. Day 4- Exploring Gour. Overnight halt at Malda. Day 5- Malda to Bardhaman return ride. The last day I had planned to commence my ride as early as possible, as soon as the first glow of dawn can be glimpsed through the window panes. But it took some good time to pack my goods and then the pre-journey excitement that ran down my spine didn’t let me sleep up to late hours, rather midnight. Owing to these factors my wake up time shifted from 3:45 AM to 5:15 AM! It was OK, I had nothing to regret, just that a bit more tease from the scorching sun was in my fate. Having finished my morning formalities started my journey at 6:25 AM. There was no headache of looking for a petrol pump as I had taken that responsibility the last evening. 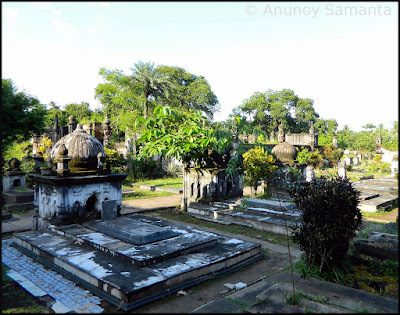 There was nothing mentionable occurred up to Katwa other than my sudden discovery of that old narrow gauge train which once used to run between Bardhaman and Katwa. I noticed it whistling and marching along the paddy fields just few kilometers before reaching Katwa. That made me desperate to take her snap, which eventually made me ride like a reckless biker, jumping over few speed breakers. Unfortunately she drifted away from the road and meandered into green and I couldn’t see her again before reaching Katwa station. On inquiring about that train local guys told that presently it runs only between Balgona and Katwa (although, as of today, it runs no more!). 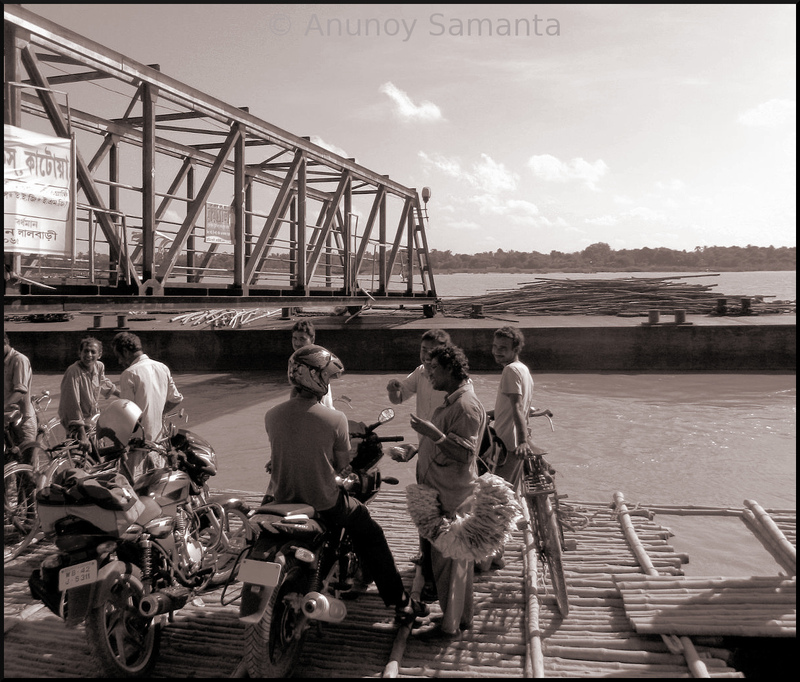 On reaching ferry Ghat a number of motorcycles were visible waiting for the boat. It was first time for my bike to enjoy a boat ride, so my confidence level which was low earlier got somewhat boosted by their abundance. As soon as the boat arrived, people with goods and cycles started rushing and I understood my duty. But there was no proper inclined slab to pull the bike onto the boat and consequently it got struck in the middle, making me totally helpless! Those boat staffs seemed to be prepared for such situations only… they came and lifted my vector by its limb guard grill and pulled it over like any other big luggage. This adventure of misfortune didn’t leave me so early. The river was dried in the middle, with water on both sides. So the bike had to be pulled once again over another boat and this time it was a smaller one carrying three bikes along with some 10-12 passengers. Only I know how I felt, until my engine crawled over to the solid road on the other bank. In half an hour I reached Debogram and took the NH34. What I had assumed of a National Highway it turned out to be exactly opposite to my utter dismay. Road was full of potholes, which were either too large or too deep. Moreover, there was no place for motorbike and its biker; every time a truck comes from the opposite side, you’ve to get down the road, doesn’t matter how, but you should do it religiously to save yourself from seeing the hell. After all these I don’t think I’ve to inform you further that there’s no divider and it is a two way crappy road. In Beldanga there was a long jam of big vehicles which gave me a chance to sip some fruit juice. After a couple of hours of struggle, reached Behrampur at around 11 AM. Again it took some 15-20 minutes to search for the Forest department guest house (at Laldighi). There the room turned out to be above my expectation. I freshened up, took lunch and opted for a catnap. But it couldn't last too long. The tourist inside me got up and compelled me to put on the helmet once again, to head for Lalbagh, at around 2:30 afternoon. Lalbagh was not far, just 12 Km from my guest house. It was a sheer pleasure to ride along the bank of river Bhagirathi. In the middle, it started drizzling which farther intensified the ecstasy of this solo rider. I stopped in the middle so many times to watch boats passing by or the ripples created by the shower drops while kissing the surface of the river… finally reached my destination in an hour. There was no second thing to do after that than visiting so many famous historical structures and locations one by one at a sluggish pace. Imambara, opposite to the Hazarduari Palace. Imambara– This largest Imambara of Bengal was constructed during Nawab Nazim Feradun Jah under the supervision of Sayed Ali Khan in 1847 AD at a cost of rupees 6 lakhs. Only six to seven months were required to complete this monumental construction. This rectangular building is divided into three equal blocks, each with a large quadrangle. It was erected to replace the celebrated imambara of Siraj-Ud-Daulah and adorned in the same fashion. Ruins of the mosque built by Azimunnisa Begum. 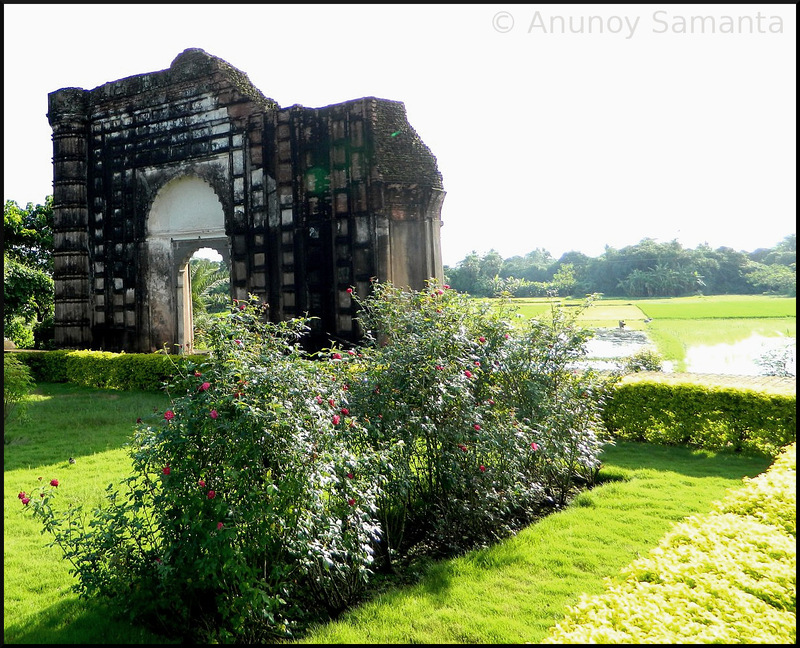 Tomb of Azimunnisa Begum– This ruined mosque was built by Azimunnisa Begum, daughter of Murshid Quli Khan and wife of Nawab Shuja-Ud-Daula. Like her father she is also buried under the staircase. 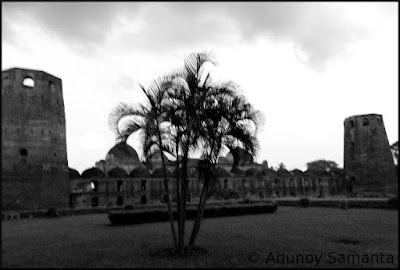 It bears similarities with the Katra mosque in its architectural plan and designs. Katra Mosque– Raised on a lofty platform, it is the most oldest and imposing Islamic architecture at Murshidabad. According to an inscription on the doorway, it was built by Nawab Murshid Quli Khan, the founder of Murshidabad in 1723 AD. Its importance lies not only as a great center of Islamic learning but also for the tomb of Murshid Quli Khan who was buried under the entrance staircase. The most striking feature is the two large corner towers with loopholes for musketry. 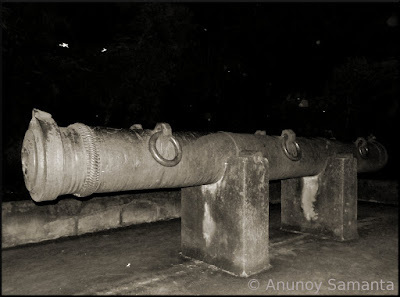 Jahan Kosha Canon– The great canon known as Jahan Kosha or the World subduer lies as a solid testimony of the metallurgical skill of the Bengali blacksmith Janardan who made it. It weighs more than seven tons! According to an inscription engraved on it, it was made at the instance of Subadar Islam Khan during the reign of Shah Jahan in 1637 AD. These were enough for the first day as the darkness engulfed the evening air, adding up to my exhaustion and lethargy. I contemplated on an early dinner and returned to my nest by 8:15 PM. Having munched 180 KM in the first day and a tummy full meal, I fell asleep very soon. Click here to check the next part to know what I had explored on the following day! Great alluring destination. Glad for your bike's first boat ride.